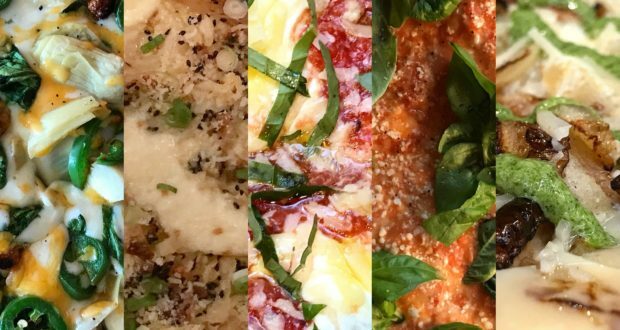 IDreamOfPizza celebrated its 9th birthday last month. And one feature that I’ve tried to maintain over the years is an annual look back at some of the best pizza I eat each year. Pizza adventures featured on the blog in 2017 ranged from upscale pies in Hong Kong to shack and night market pizza in Taiwan. 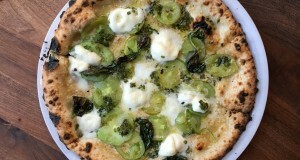 I reviewed pizza in a small town in North Carolina and tried the $45 Doughdici pie in Manhattan. 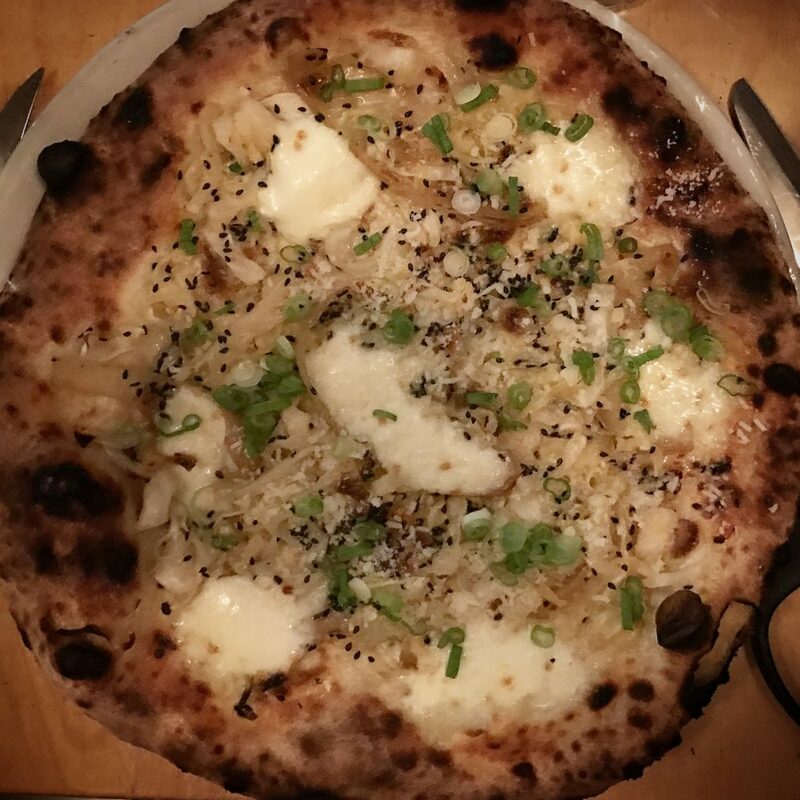 From Queens and Long Island to Hawaii and Georgia, it was another year filled with amazing (and some not so amazing) pizza, from near and far. I’ve never included a pizza from a “chain” on this list before. But the extent to which this pie exceeded my expectations has earned it a spot here. &pizza is a Washington DC based fast-casual pizza chain which has begun to open locations in New York City and elsewhere around the country. They’ve established a formidable brand, have strong customer service, and their pizza is actually decent. You can build your own pies (with unlimited toppings) or order one of their “Hits.” I’ve been fixated on this “Gnarlic” pie. I’m a sucker for a good vodka pizza. But one of my pet peeves is vodka pizza which has a mild vodka sauce. I like my vodka pies creamy. I want the sauce to be the most prominent flavor on the pie. And one of the better vodka pies I’ve had in recent years was from this neighborhood pizzeria in Bay Ridge, Brooklyn. 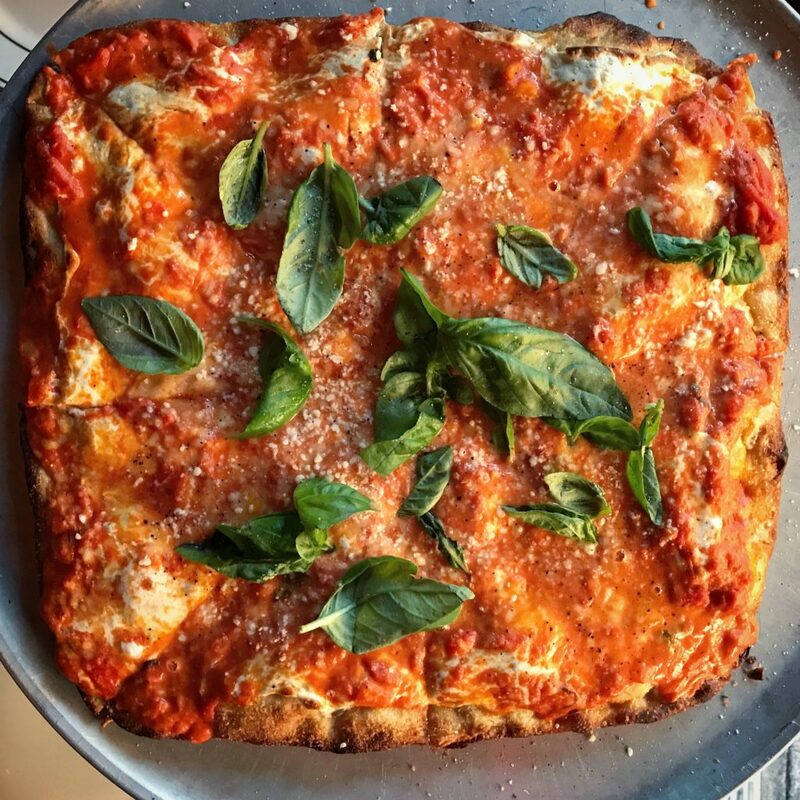 There is only one “Square Pie” on the menu which contains “Sunday Sauce.” But I recommend calling an audible and swapping in their delicious vodka sauce. 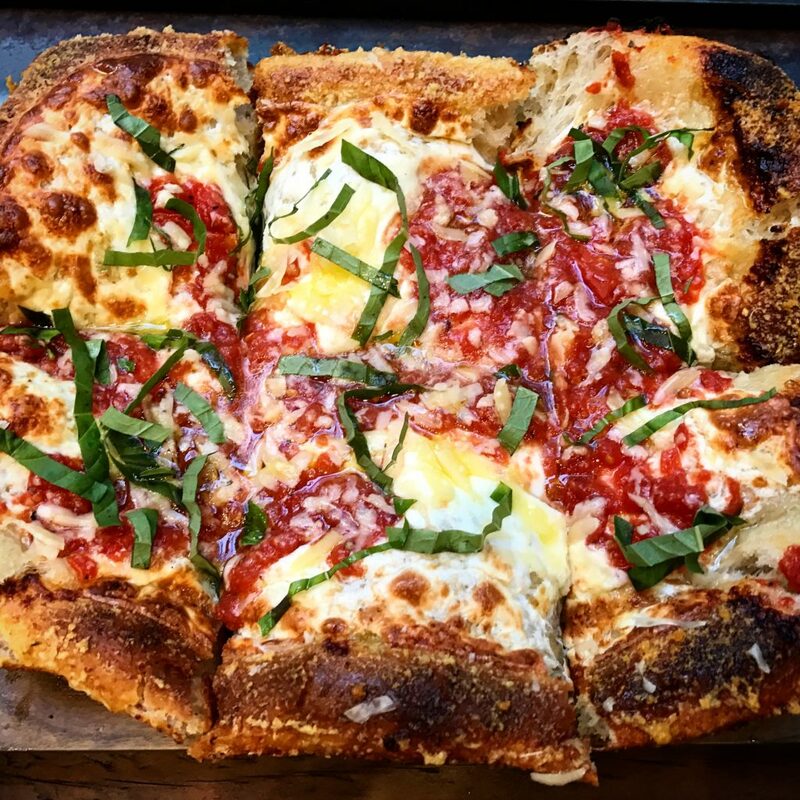 Perhaps the most talked about (and written about) pizza in New York City this year was the Doughdici, a $45 pie that requires tickets to try. The dough is cold-fermented for three days and then it rises in an oil lined pan for 12 hours before being topped with ingredients and cooked for about 10 minutes. It’s one of the more unique pizzas I’ve ever had and the hype is justified. Franny’s shuttered its doors in 2017. And what I’m going to miss most about the Brooklyn pizzeria is their “Pizza Madness” event every March. 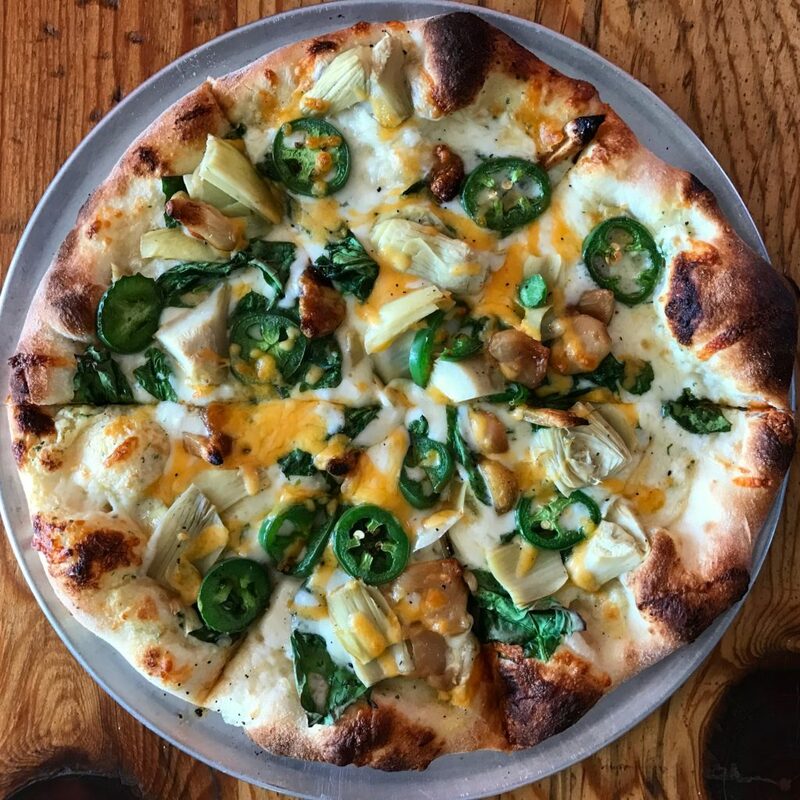 In conjunction with the NCAA tournament, they debut a slate of 16 new pizzas created by restaurant staffers. The top sellers each night move on until a winner is crowned. 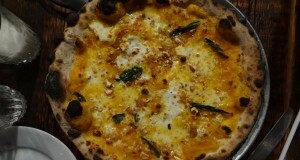 My favorite pizza from this year was “The Kimpie.” It was the first time I’d ever had kimchi on pizza. And it was delicious. 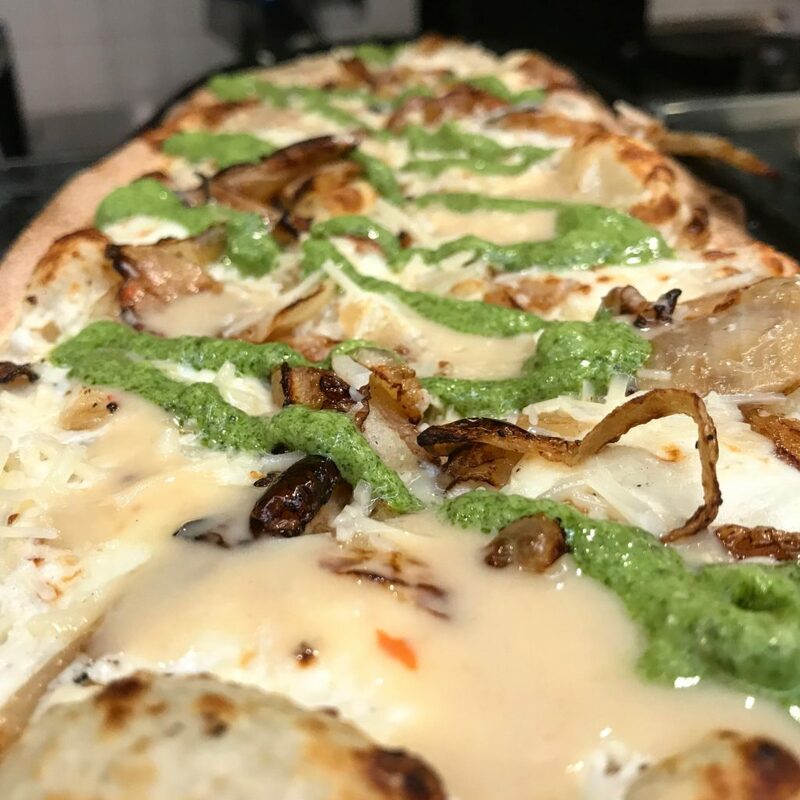 Pie For The People is a funky pizzeria located right outside the entrance of Joshua Tree National Park. The walls are adorned with desert inspired art and the pies have trippy names like Go Westo My Pesto and Wookie. My favorite pie was The Ziggy, which is actually not listed on the menu. But it’s a vegetarian version of a pie called The David Bowie (with all the same ingredients minus the bacon). I usually don’t enjoy pies that are overwhelmed with too many toppings, but every item on this pizza really complimented one another. The jalapenos provided a little spice. And the pineapple and onions provided the perfect amount of sweetness.